Mortal Kombat 9 Kratos GAMEPLAY!!! 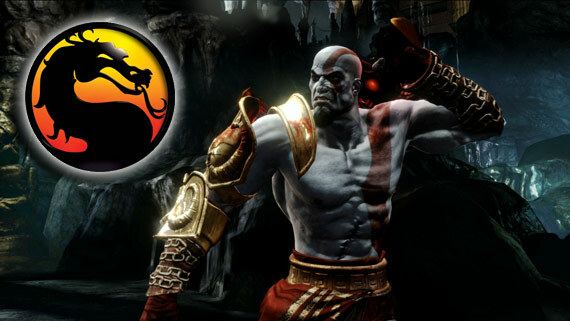 The almighty God of War is making a triumphant return but instead of starring in another Gory hack and slash game he is going to be part of a gory 2-D fighting game, Kratos was unveiled as a PS3 exclusive character for the PS3 version of Mortal Kombat 9 and he is unlockable from the Krypt. This is the first gameplay video which has surfaced, the beginning of his fatality is shown, it seems that Kratos will have his own stage from the final fight with Zeus from God of War 3 and even the weapons, in the video you can see him using the Blades of Exile, Blade of Olympus, the Bow of Apollo, The Nemian Cestus and my personal favorite; the head of Helios. I just hope we get a peek at his fatality before the release of the game. It’s a shame that they didn’t show the fatality though, but his X-Ray move is WITHOUT A DOUBT pure brutality to anyone on the receiving end of it :D.
With this game and Portal 2 April is definitely a SUPERB month for the PS3. Unfortunately at the time of posting this the video was not on YouTube so go to the source for the video.